KANSAS CITY — The market for foods free from genetically modified organisms, preservatives, dairy, gluten, grains and meat remains robust. As interest intensifies, ingredient suppliers and food processors are making strategic investments to keep pace. In January, Cargill, Minneapolis, signed a joint venture agreement with Puris, the largest North American producer of pea protein. Financial terms of the deal were not disclosed. With Cargill’s financial backing, Puris expects to add capacity, including a second plant, while maintaining focus on U.S. production, said Tyler Lorenzen, president of Puris. Puris is the largest North American producer of pea protein. Formerly known as World Food Processing, Puris produces pea protein, starches, fibers and other non-G.M.O. ingredients from soy, pulses, lentils and corn for use in a range of applications, including powders, mixes, energy bars and cereals. All products are vegan, gluten-free, dairy-free and allergen-free. Cargill is not the only company investing in pea protein. This past September, Roquette, La Madeleine, France, broke ground on a new pea protein processing plant in Portage la Prairie, Man. The plant is expected to have a processing capacity of more than 120,000 tonnes per year. Roquette has said it plans to invest more than $303 million in the site. 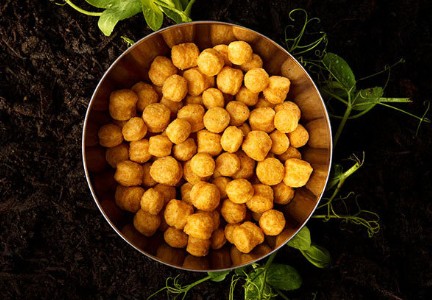 “This represents a major step in our development strategy in North America and in the plant protein business, and we are looking forward to offering our pea-protein products from Portage la Prairie, at the heart of Manitoba, to customers and consumers in America and worldwide,” said Jean-Marc Gilson, chief executive officer of Roquette. The investment in pea protein production underscores the interest in free-from-foods, because the ingredient may be used in meat-, dairy- and grain-free alternatives. 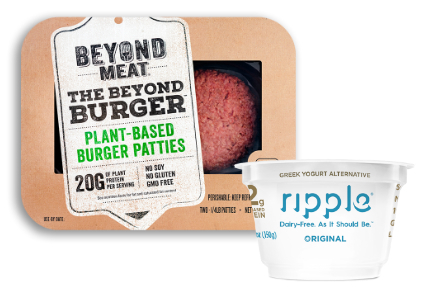 Beyond Meat, El Segundo, Calif., for example, uses it in its Beyond Burger, and Ripple Foods uses it in its dairy-alternative fluid and yogurt products. Ripple recently received $65 million in venture capital from such investment firms as Goldman Sachs and S2G Ventures. “Ripple Foods is at the helm of shaping the future of food and reinventing how we use plant proteins to make dairy alternatives,” said Kathy Elsesser, global chair of Goldman Sachs’ Consumer, Retail and Healthcare Groups in the Investment Banking Division. The market for gluten-free applications remains of interest to ingredient suppliers as well. On Feb. 8, Nutriati, Inc., Richmond, Va., in conjunction with PLT Health Solutions, Morristown, N.J., introduced Artesa chickpea flour to the marketplace. 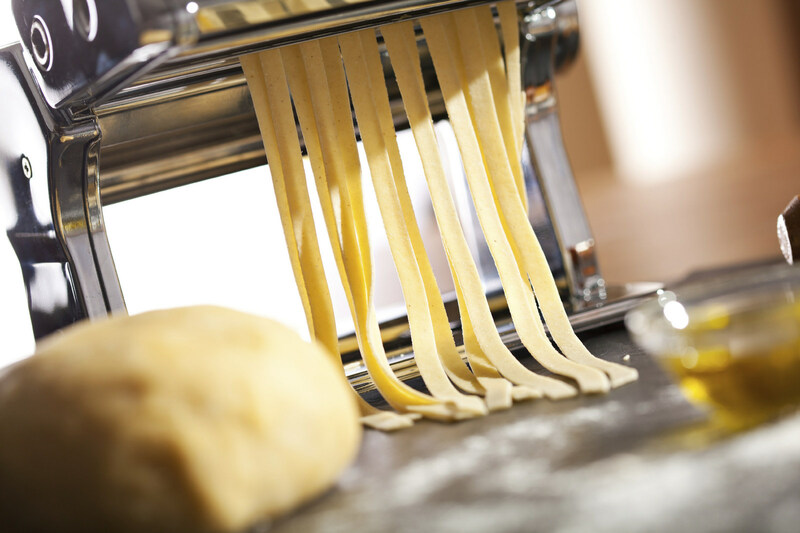 In pasta applications, Artesa Chickpea Flour delivers taste and texture profiles similar to premium semolina wheat flours. Artesa flour can work as the principal ingredient in gluten-free bread, said Michael Spinelli, co-founder and chief technology officer for Nutriati. Gluten-free bread manufacturers tried the flour in bread and were pleased, he said. They could spread peanut butter on the bread without tearing the bread, he said. Artesa chickpea flour has a fine particle size and a neutral taste, not earthy or beany. Nutriati cleaned up the flavor profile through fractionization, which removed much of the oil. The flour has a neutral, white color. The gluten-free, non-G.M.O. flour has a protein content of 12% or more, which is twice the protein content of some other gluten-free flours. It contains resistant starch. Nutriati has filed to receive Non-G.M.O. Project verification. In 2017, Maple Leaf Foods, Inc. made two significant investments in the free-from market. On Jan. 29, Maple Leaf Foods, Inc. closed on its $120 million acquisition of Field Roast Grain Meat Co., a manufacturer of meat- and cheese-alternative products made from plant-based proteins. Earlier in 2017, Maple Leaf Foods acquired Lightlife Foods, Inc. for $140 million. 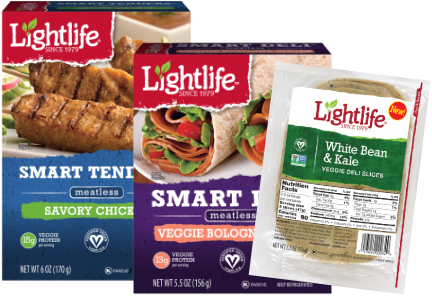 Lightlife is a manufacturer of plant-based meat alternatives. The fact that in the span of a year one of Canada’s largest food companies has invested $260 million in the free-from market highlights the level of interest.